Speech by Peter Luff, Minister for Defence Equipment, Support and Technology. Good morning. I’m delighted to be here. I’d like to take this opportunity to pay tribute to David Bowles as NDI’s outgoing Chair. It’s been a pleasure working with you over the last couple of years David. Thanks to your vision and leadership the NDI is a flourishing organisation with a growing membership and a great deal of influence. And welcome to your new Chairman, Mike Maiden. Mike, I’ve got to know you in your capacity as Deputy, and also through your contribution to my Defence Supplier Forum SME Group. I’m delighted you’ll be taking up the reins. Your expertise and insights are always tremendously useful. NDI members and defence have a busy agenda ahead. I for one am looking forward to some very interesting times. Thank you Jonathan [Jonathan Byrne, Head of CDE providing the opening address] for such a fascinating insight into the work of CDE. The work you’re doing, in reaching out to SMEs, entrepreneurs and the academic world, is playing a vital role in helping to promote innovation and widen our supplier base. I’m very keen for CDE to have a more prominent role when it comes to sourcing cutting edge solutions to some of the emerging challenges facing our armed forces. That’s why we’re looking at ways to make the organisation still more effective in its important work. It’s very fitting that this conference is taking place during our national science and engineering week. The white paper we published last month emphasised the contribution, no, actually that’s too weak a word, the fundamental place that technology has in providing our defence and security. Organisations like CDE and Dstl, our Defence Science and Technology Laboratory, are playing a vital role in promoting the contribution science and engineering make to defence. And indeed industry across the board is too, in particular when it comes to SMEs. More and more the technology we need is being developed outside defence, by people like you. We need to understand it, and how to use it. That’s why we, the MOD, have to facilitate this. This means getting to grips with some of our procurement processes. Making them more transparent, consistent and streamlined will help. We really need to get cracking on cutting through a lot of the red tape enveloping a large organisation like the MOD. And we are. I’ll be talking later about how measures outlined in our white paper ‘Defence Through Technology’ will be overcoming some of these obstacles. I’m delighted that ‘Lockheed Martin’ and ‘HITEK’ among others have chosen to sponsor this important event. The NDI is an organisation with clout and certainly from my point of view as a Defence Minister you are important stakeholders. The NDI is, I believe, a really good example of an energetic and proactive industry hub supporting its members with a range of consultancy and project management interventions designed to create business opportunities. Now that sounds like a direct lift from the NDI website, but it is one I am happy to reiterate! It does a superb job in representing its members and championing defence and its interests. The NDI works with the Primes, and brings the major players and smaller companies together. In particular, it gives those of you here from SMEs a voice and a platform. NDI members I meet tell me that what they really appreciate is the fact that this is an organisation which is membership focused at grass roots level. And you keep your members in touch with a dynamic and evolving market. Whether it’s spreading the word about new and emerging opportunities, or developments in a particular sector. And of course organising major events such as this year’s conference which brings together a range of industry sectors. I am glad your theme is ‘Building for Growth’, which could be adopted as something of a motto for the industry. I’m pleased that speakers have been focusing in a very specific way on business opportunities. Because from our point of view I can tell you that the opportunities are there. You might not think so if you read some of the ill informed comment in the national media, but defence is big business. And will remain so. We’re still in the process of reviewing our equipment programme, but we plan to continue to invest a significant amount in defence equipment and its support. This will be a figure of some £150 billion or more over the next decade. Successful organisations like NDI will adapt and change. I know, for example, that you’re now focusing on aerospace, Space and security markets. But defence remains the cornerstone. And I welcome the fact that the NDI is also keen to explore opportunities through the implementation of the Franco-British Treaty. I know that you heard something similar from the French Ambassador yesterday and I naturally endorse this. I’m pleased to see that the NDI is taking a lead on this, by devoting an important part of this year’s conference to industry’s perspective on the business opportunities offered by the Treaty. And by the way, I particularly commend the way the NDI is actively building links with an organisation like ‘Team Cote D’Azure’. And for the more cynical among you, I am assured by NDI and my own officials that the defence industries are very strong in this agreeable part of France. I know that Steve McCarthy, our Director General for International Security Policy at the Ministry of Defence, spoke to you about our relationship with France yesterday afternoon. Greater Franco-British cooperation should open up great opportunities for SMEs as it does for primes. The recent summit highlighted many areas. Over time I expect SMEs to do particularly well from our increasingly deep collaboration. Looking back, a tremendous amount has already happened over the past year in our defence partnership with France. What’s been particularly striking is just what a turning point Libya was for us, the UK and France. In terms of further consolidating existing links between us. And also in the way we’ve been able to identify the sort of areas where we should now be prioritising our joint work. In key areas like command and control; information systems; intelligence; surveillance; targeting; as well as reconnaissance and precision munitions. Actually, there’s now a lot of work going on between us across just about every area of defence. Research and technology is a good example. Later today I’ll be heading over to Paris and on to Bordeaux, another area of France perhaps better known for something other than its strong defence industrial base. There the High Level Working Group will be briefed by industry on critical technologies, such as Radar Absorbent Material, Optronics and technologies used in manufacturing radars. There will be a number of French SMEs attending the conference in Bordeaux, and it’s going to be extremely useful to hear their views on how we here in the UK can take forward industry’s recommendations. France and the UK continue to account for nearly half of Europe’s defence spending. Co-operation on equipment makes compelling sense for both countries. First, it allows both of us, the UK and France, to maximise our already considerable purchasing power. Third, bilateral collaboration is an important principle of today’s UK defence equipment programme. It helps to sustain a strong industrial base. And underpins both British and French security. And of course that opens up more opportunities for you on both sides of the channel. And that’s why I particularly welcome NDI’s initiative in dedicating an important part of this event to exploring opportunities for SMEs in the UK and France to work together. I’d like to extend a special welcome to SME who has joined us from France today. This event is a great chance to network with a range of decision makers spanning commercial; operational and technical fields across industry. In today’s global market place SMEs are the life blood of any successful industry. And that is definitely true when it comes to the defence industry. As the success of our Urgent Operational Requirements process demonstrates time and again. You have been making a vital contribution when it comes to getting battle winning capability out to the front line in Afghanistan to meet the evolving threats our forces have faced. And you’re able to be this responsive, I believe, because you have the innovation and the agility. You’re able to exploit new and emerging technologies which create solutions, very often in niche capabilities and, crucially, are cost effective. SMEs have a vital role to play in making sure our forces have the best kit and the best support. At the right price for the British tax payer. Today I want to talk about why you matter to the MOD. And why our recent MOD white paper ‘Defence Through Technology’ commits us to a range of measures which are aimed at opening up more of our business to you. And making us a more accessible customer. There are basically four strands to this. First, building on the work already underway. Last year, for example, the MOD changed its policy to minimise the use of pre-qualification questionnaires for low risk procurements under £100,000. A significant sum for many SMEs if not for the MOD itself. The department also now uses the government’s contract finder portal to advertise requirements over £10,000. Second, successful implementation of the new measures we have signed up to in the white paper itself. With a view to making the whole application process for smaller contractors more streamlined. We want to help you develop new products, and make sure you get the expert advice you need to help you export. making sure there’s an emphasis on ‘open systems’ factored in to our requirements. So that there’s scope for you to offer the kind of modular systems which enhance major weapons and platforms. Third, we, the MOD, have to ensure these changes become part of the department’s DNA. This is as much about cultural change as changing rules and regulations. I am glad that NDI has already made some very good suggestions in this regard and I am grateful for this support. And the fourth and final strand of this activity is doing what we can to energise the Primes into becoming part of this drive. Actually, we are making progress. I wonder how many of you here today from the SME sector are aware of just how much MOD business comes your way? In fact, you’re currently winning 42% of MOD’s equipment contracts. In financial terms that’s around £1 billion of new business a year. And many more of you are contributing to defence and security programmes as subcontractors. I know however that for many SMEs out there and this is certainly something we’ve been hearing from the NDI, defence appears to be a complex and bureaucratic customer. This was definitely reflected in the feedback we had during our extensive consultations in the lead up to the white paper. I believe the final paper reflects this, but you must let me know if not. Open procurement means that wherever possible we’ll be seeking to fulfil defence requirements through open competition in the domestic and global market. The recent awarding of the MARS contract, the construction of four new ships for the Royal Navy, to Daewoo Shipbuilding and Marine Engineering (DSME) in south Korea is tangible evidence of this. Although a number of British companies took part in the international competition, which was quite rightly initiated by the previous government, none of them submitted a final bid for the build contract. Of course I would have preferred it if there had been a competitive British bid. But there wasn’t. In light of this, we decided that the best option for defence, and value for money for taxpayers, is for the tankers to be constructed in south Korea by DSME. I would just note by the way that there will also be up to £150 million of associated contracts for the MARS project. And again there have been opportunities here for SMEs. Open procurement also means buying off the shelf if that represents best value for money, as it often will. There is no reason why a competitive British defence industry shouldn’t win that business. But we will be pragmatic. We have to protect our national security. And that is why the white paper also sets out our approach to maintaining the UK’s operational advantages and freedom of action. Boosting our exports is another principle of the white paper. Defence exports give us leverage and influence and enhance interoperability with the armed forces of close partners such as France and the US. And indeed Nato and beyond. In these times of austerity, exports may also have the benefit of reducing the cost of long term programmes, and removing some of the associated risks. That’s why exportability will be integral to our future equipment programmes. I’m confident this will help companies reach new markets. However, defence is a vibrant sector here in the UK. In fact, we’re the second largest defence exporter in the world, with £6 billion of sales and a 22% share of the market. I’m equally confident you’ll be able to win business here and overseas on your own merits. Indeed, building an open and competitive UK defence sector is the best guarantee of the industry’s future. As the EU single market increasingly extends to defence and security under the new procurement directive, the competitiveness and technological excellence of our industry in the UK, and SMEs in particular, will be a real strength for the UK. That’s a key part of what I see as a real industrial policy for defence. The white paper is also about cultural change. Changes in MOD processes and the way we do business. Which is why the Defence Equipment and Support organisation is also under review. 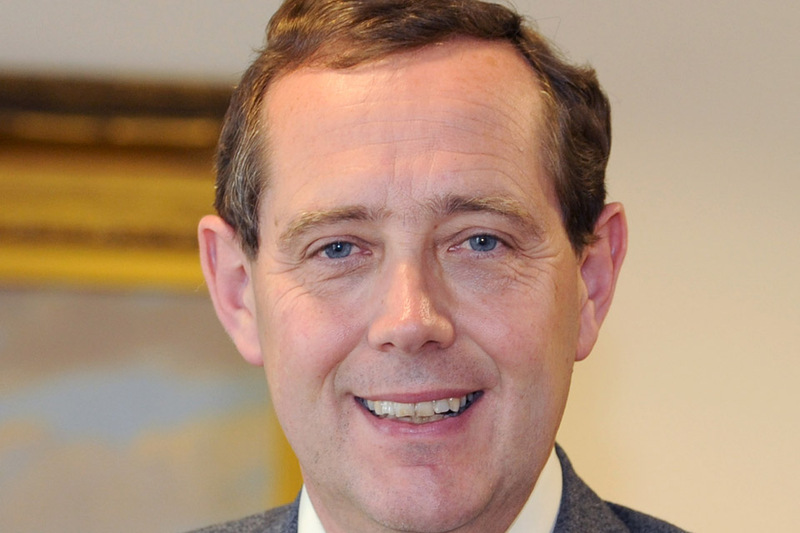 The ‘Materiel Strategy’, as it is called, is being taken forward by Major General Chris Deverell on behalf of Bernard Gray, the Chief of Defence Materiel. Five options have been considered as part of the Materiel Strategy. However, we have pretty well already ruled out the status quo. And we will not be going down the privatisation route. Option one: DE&S becomes a Government-owned, Contractor-operated set up a GoCo, along the lines of the Atomic Weapons Establishment. Option two: is for an Executive non-departmental public body with a strategic partner, similar to the Olympic Delivery Authority. Or, Option three: it becomes a trading fund along the lines of Dstl, the UK’s Defence Science and Technology Laboratory. Whatever the final decision, the review will need to factor in the need to improve skills and processes. And, crucially, ensure a more disciplined relationship between DE&S and MOD customers, including Front Line Commands. We’re determined to make some pretty bold decisions. And we’ll be as radical as we need to be, no more, no less. This is ongoing work, but there will be changes ahead. The MOD must and will become a more intelligent and demanding customer. This will be good for your competitiveness. I’ve talked at some length about our approach to our equipment programme, and the principles we’ll be guided by as we work to ensure a balanced and affordable equipment programme in the years ahead. What I want to make clear is that technology and innovation are absolutely central to this. It’s something I feel pretty passionate about. It’s staggering to think that under the last government, the science and technology budget more than halved between 1997 and 2010. This was short sighted in the extreme. I’m determined that this process of decline must be stopped. And it has been. The proportion of spending on science and technology is now baselined at its current level of 1.2% of the overall defence budget. This firm intent is clearly set out in our white paper. And it’s another key component of an effective approach towards the defence and security industries. This sum is currently over £400 million a year. I’m hoping, not committing, that it will be possible for this figure to grow as a result of a well planned and sensibly managed equipment programme. Some of this will be from collaboration with our French colleagues. The white paper is a high level guide which provides direction. For us in defence, and you in industry. It’s also a living document and we remain open to further measures and improvements. Particularly when it comes to SMEs. Which is why I’ve established a dedicated SME Forum to address your concerns. In addition to the NDI, membership also includes ADS; the Federation of Small Businesses; Engineering Employers Federation and others. I personally chair these meetings. I find them a really valuable way of getting together with key representatives from industry to tackle some of the current issues and challenges we all face. And its not just trade bodies, but real SMEs also. The SME Forum took part in the extensive consultation process which informed the white paper. I’d like to take this opportunity to thank SME Forum members for their important contribution to that. I’m glad the white paper was well received by industry, and I am grateful for that intelligent response. I am particularly delighted that the paper is acting as a catalyst for action by industry itself, led by bodies such as NDI. This conference has focused on building for the future. Looking ahead, making plans, building capability. It’s a future which looks increasingly unknowable. Where all sorts of eventualities will have to be considered and planned for. And where there will be new and emerging challenges. Some of which and I’m thinking here of areas like cyber, and space, will also present opportunities. What I am quite certain about, however, is that strong and effective partnerships, between us in the MOD and you in industry, will be vital when it comes to safeguarding our future and making sure our forces have battle winning capability. With the fourth largest defence budget in the world behind us I know we can and will, continue to deliver on that. Thank you for all that you have done and will continue to do in the future.